* This course focuses on the Zynq UltraScale+ MPSoC architecture. Check with your local Authorized Training Provider for the specifics of the in-class lab environment or other customizations. The 2017.1 version of this class does not use a physical board,.but rather a local emulation environment and the Vivado Design Suite. 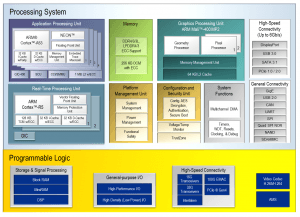 Zynq UltraScale+ MPSoC Application Processing Unit – Introduction to the members of the APU, specifically the Cortex™-A53 processor and how the cluster is configured and managed. 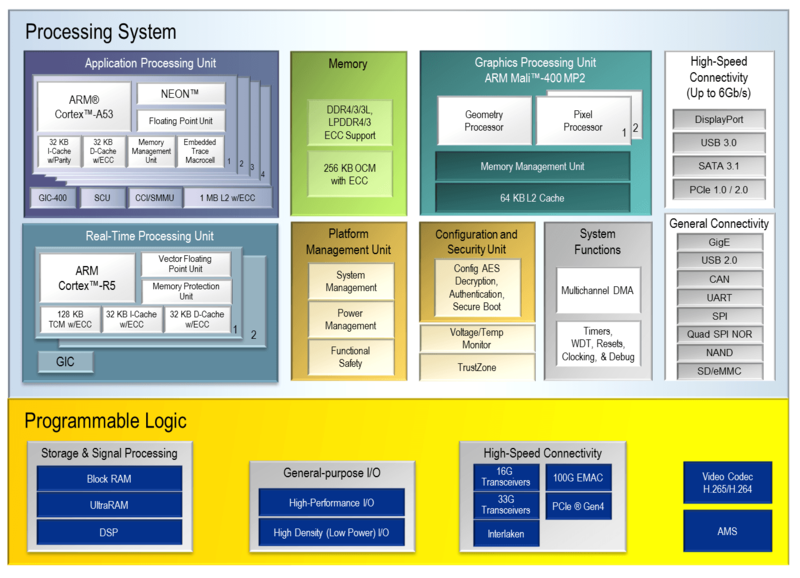 Zynq UltraScale+ MPSoC HW-SW Virtualization – Covers the hardware and software elements of virtualization. The lab demonstrates how hypervisors can be used. Zynq UltraScale+ MPSoC Real-Time Processing Unit – Introduction to the various elements within the RPU and different modes of configuration. QEMU – Introduction to the Quick Emulator, which is the tool used to run software for the Zynq UltraScale+ MPSoC device when hardware is not available. Zynq UltraScale+ MPSoC Booting – How to implement the embedded system, including the boot process and boot image creation. Zynq UltraScale+ MPSoC System Protection – Covers all the hardware elements that support the separation of software domains. Zynq UltraScale+ MPSoC Clocks and Resets – Overview of clocking and reset, focusing more on capabilities than specific implementations. AXI – Understanding how the PS and PL connect enables designers to create more efficient systems. Zynq UltraScale+ MPSoC PMU – Overview of the PMU and the power-saving features of the device.